Online platform dedicated to training centers which can show all its educational offerings and where companies and users can search for, identify, consult, compare and enroll in those training courses that best suit their specific needs. emagister.com It is the leading training portal in Spanish-speaking market, both in volume of training content and number of users demanding courses in any segment: FP, universities, master's degrees and postgraduate programs, subsidized training and oppositions. 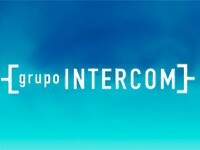 Montserrat participates in eMagister through Intercom Investment.